It can only look and sound like a Harman Kardon if it carries the Harman Kardon name. And the advanced-calibre power derived from its high-current capability amplifiers provides you with what you need to drive the high quality sound you demand from all your playback sources and electronic devices. Get the most out of your signal path with a high resolution, 24-bit, 192 kHz DAC – which helps marry analogue to digital in a stereo receiver providing you instant access between devices.In other words, your receiver has the option to receive everything that’s available to you in analogue or digital form – redefining the term ‘stereo receiver’ while transforming your system into a true entertainment/infotainment centre of your design. Get the best of both worlds with total connectivity for both analogue and digital playback.From capturing the sounds of your vinyl through an analogue phono input to marvelling at the programming available through your vTuner internet radio access, get all the connectivity and interactivity you demand with network DLNA 1.5. Enjoy internet radio access and connect with iOS Direct through your USB input. A dedicated remote application for control over iOS and Android platforms – complete with an intuitive menu system – is available in an instant through the Harman Kardon Remote app. Life couldn’t be simpler with this streamlined edge on user control. 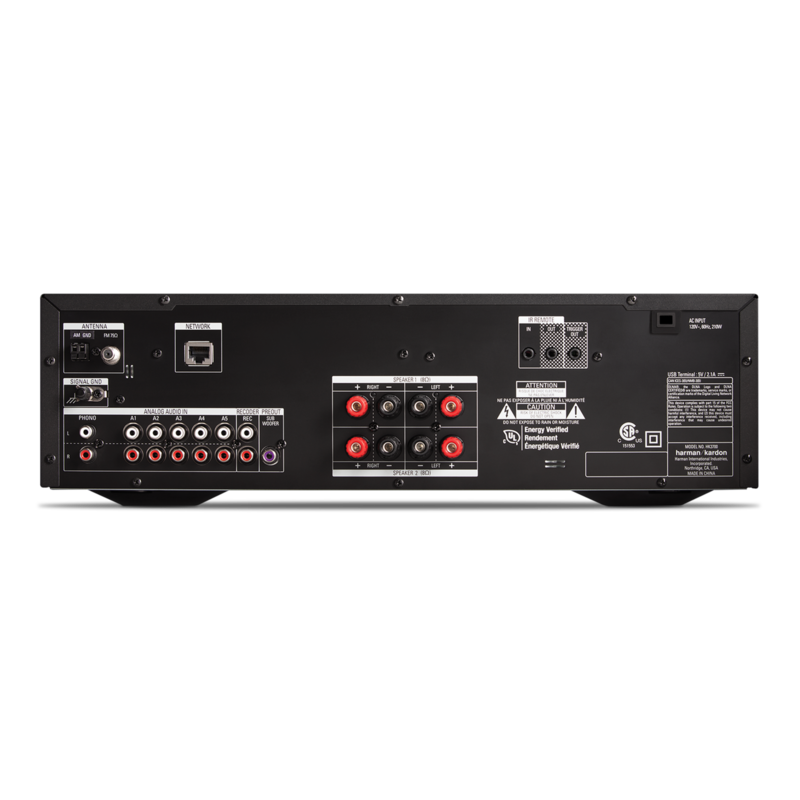 High-performance 170 watt stereo receiver with analog & digital capacity and networked connectivity. 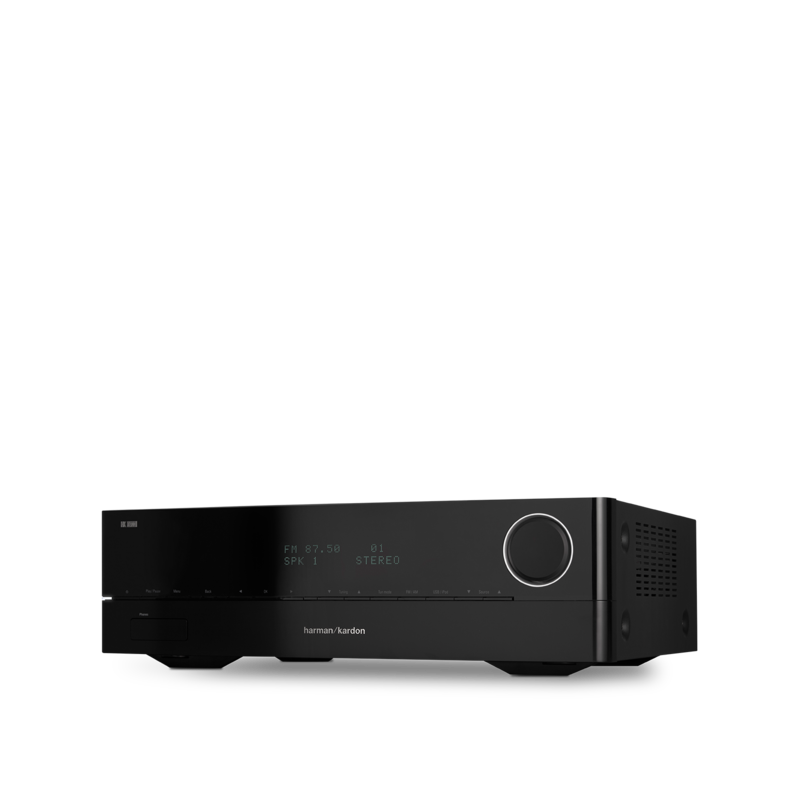 High-performance stereo receiver with 170 watts of power, analogue and digital capacity and networked connectivity. Harman Kardon’s reputation for excellence in sound quality and distortion-free power just moved forward to embrace the best of both digital and analogue worlds. 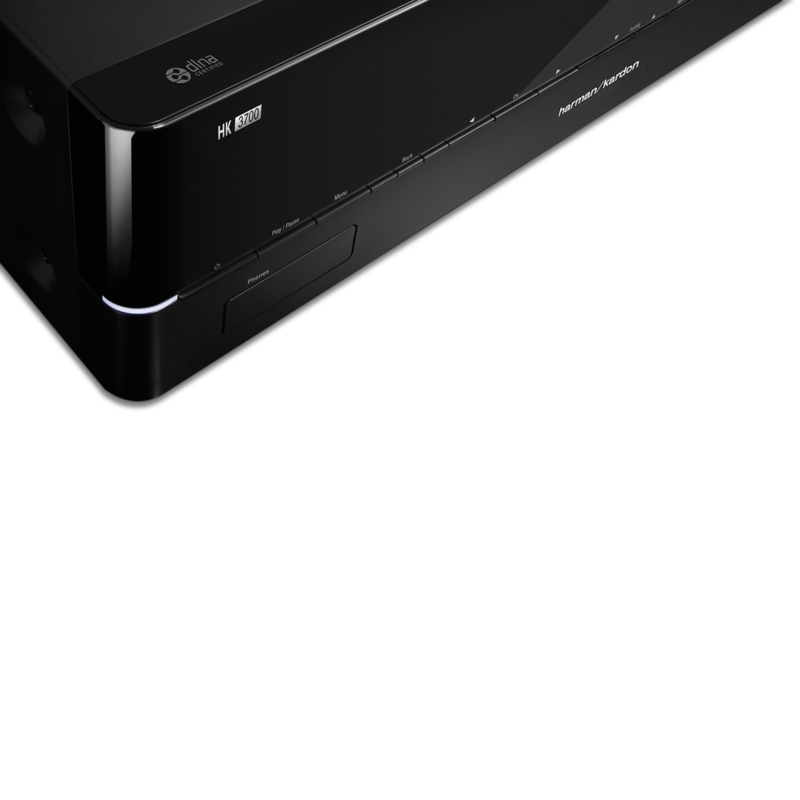 Discover 170 watts of power in a stereo receiver dedicated to complete connectivity for all your devices. 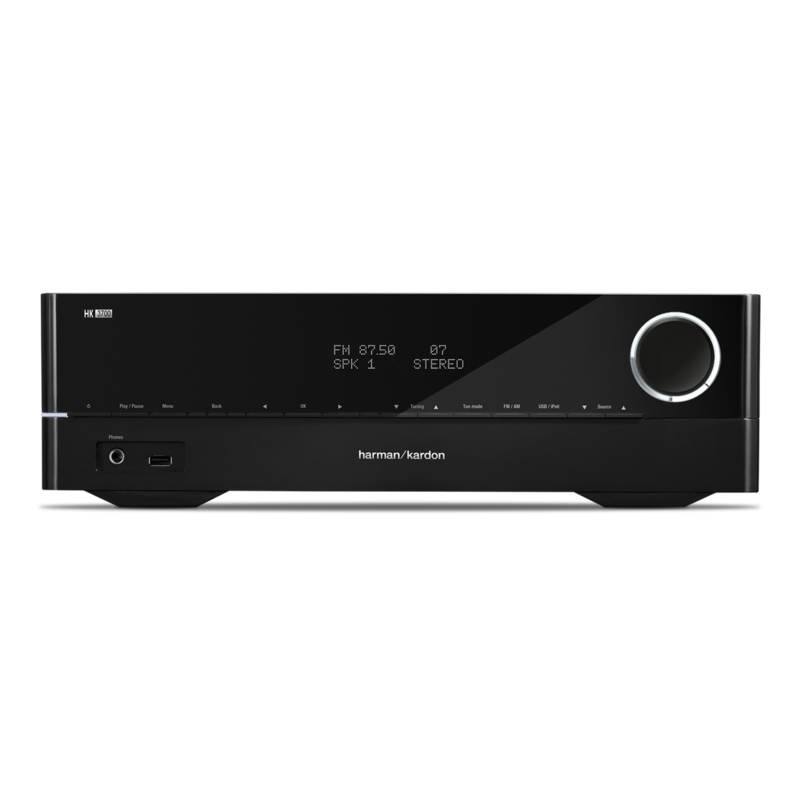 The high-performance, Harman Kardon HK 3700 stereo receiver delivers everything you need to drive any home audio system. With analogue and digital connectivity, the HK 3700 delivers plenty of power and offers a built-in, 192 kHz/24-bit DAC. Connect to your home network via Ethernet, playing all your local content over DLNA 1.5 or connect a storage device or any Apple iOS device via USB. And, with built-in AM/FM radio and phono input, the HK 3700 eloquently bridges classic and modern audio. 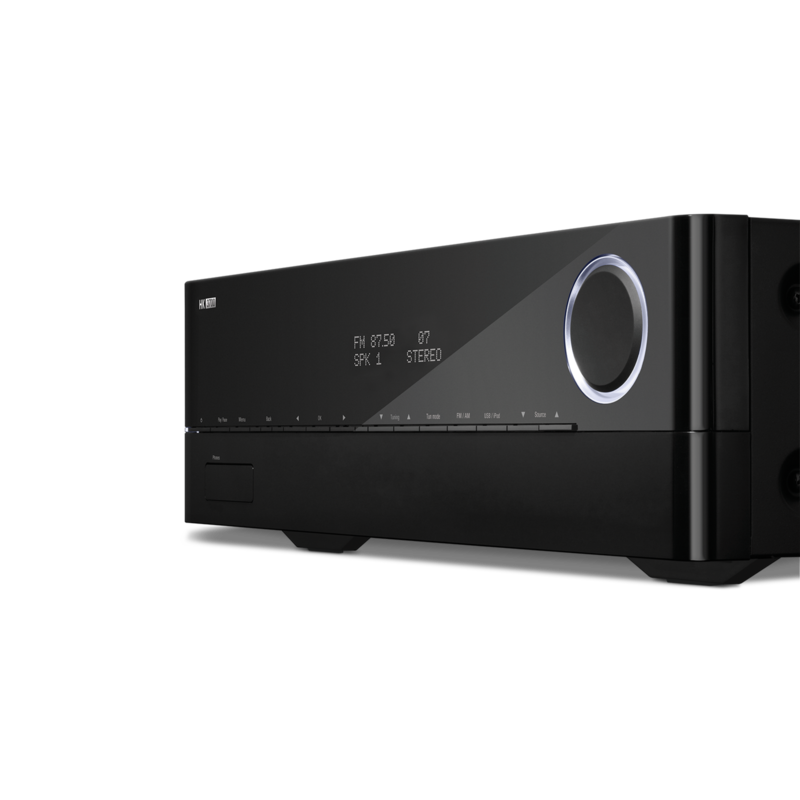 It is a truly powerful centrepiece for your home audio system – a happy collision of old school sound requirements to new school needs for complete connectivity. Enjoy your new entertainment headquarters – to the envy of all who see and hear it.